Aside from bleeding gums, bad breath, and swelling, gum recession is also one of the common signs of periodontal disease. 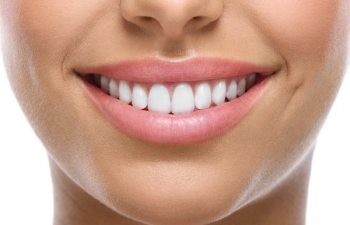 The condition causes the teeth to appear longer than before, making the person feel conscious about their smiles. Receding gums increases the risk of tooth loss as well. So, how can you prevent it from stealing your confidence and overall wellness? First, get to know its causes. Second, learn the different preventive measures to take. However, if it seems too late for you to hamper the issue, know your treatment option here at Alora Dentistry. Cleaning the teeth is best done using a toothbrush with soft bristles daily. The best time to do so is in the morning and nighttime (before sleeping). Brushing should be completed for at least two minutes. Remember that the goal is to clear the mouth from plaques and food particles so brushing for less than a minute will not work. People should pair their brushing routine with flossing. Taking time to remove the debris in between the spaces of the teeth is another excellent way of protecting the mouth against gum disease. The dentist can tell if the patient is suffering from any forms of oral complications – like gum recession for instance. As mentioned, receding gums can lead to tooth loss, especially if left unattended. Dental professionals can also perform cleanings to safeguard the person’s oral health from any diseases. Overcrowding may heighten the person’s chance of experiencing a gum recession. To aid this, ask the dentist for an orthodontic treatment beforehand. Invisalign and Six Month Smiles are available in our clinic. Gum recession is treatable. However, before providing the appropriate treatment, our dentist at Alora Dentistry will first determine the cause of the condition. If it is due to gum disease, we can provide deep cleaning which will help bring back the healthy state of the gums. For more information about Receding Gum Treatment in Napa, CA, be sure to contact Alora Dentistry today. Our entire team looks forward to meeting you in person and helping you achieve the best possible dental health results. We are located at 917 Trancas Street, Suite A Napa, CA 94558.